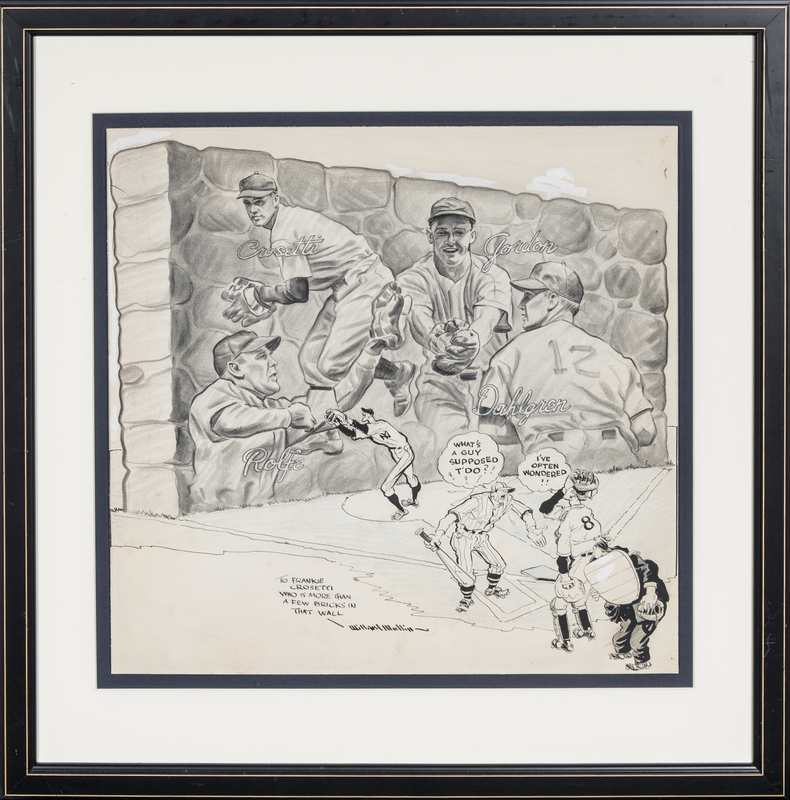 Offered here is a framed comic artwork of Frank Crosetti and the New York Yankees infield by the famed cartoonist Willard Mullin. Mullin invented the “Brooklyn Bum”, the unofficial mascot of the Dodgers, and received the 1954 Reuben Award from the National Cartoonists Society. 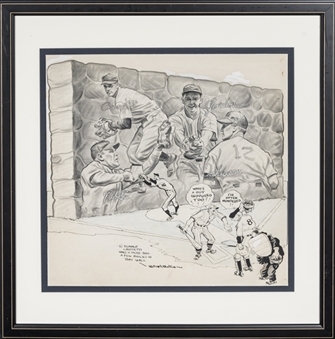 This artwork shows Crosetti, Babe Dahlgren, Joe Gordon, and Red Rolfe, with a disgruntled batter asking a catcher (wearing Bill Dickey and Yogi Berra’s number “8”) “What’s a guy supposed t’do?”. Mullin wrote “To Frankie Crosetti / Who is worth more than a few bricks in that wall” above his black marker signature. This artwork measures 17.25 x 17 inches and comes in a 24 x 25-inch framed display.